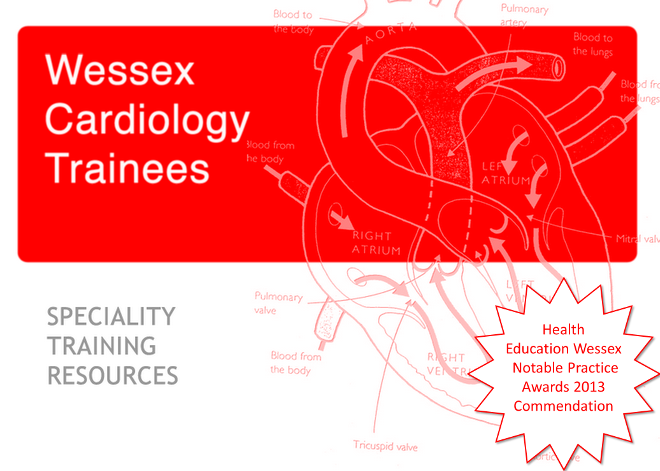 Dr Carroll has asked me to highlight that the Adult Congenital Heart Disease NTN is now available on the NHS jobs website - available here. 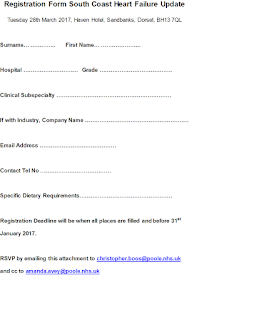 This is clearly a great opportunity for anyone interested in AHCD sub-specialty training and the ACHD consultants would be happy for any informal inquiries as well. I hope you are all enjoying your new placements! 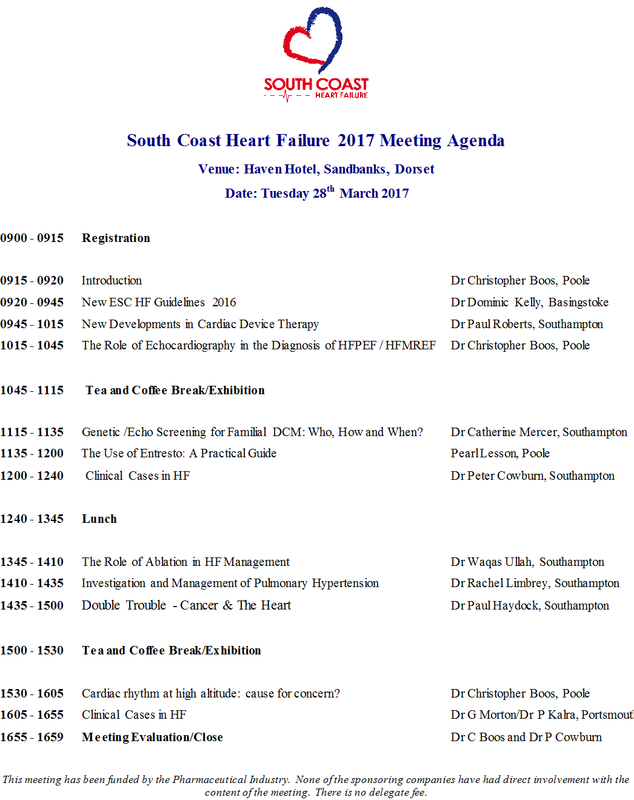 I have worked out how to link a word document so it can be sent straight for registration for the South Coast Heart Failure meeting - click here. 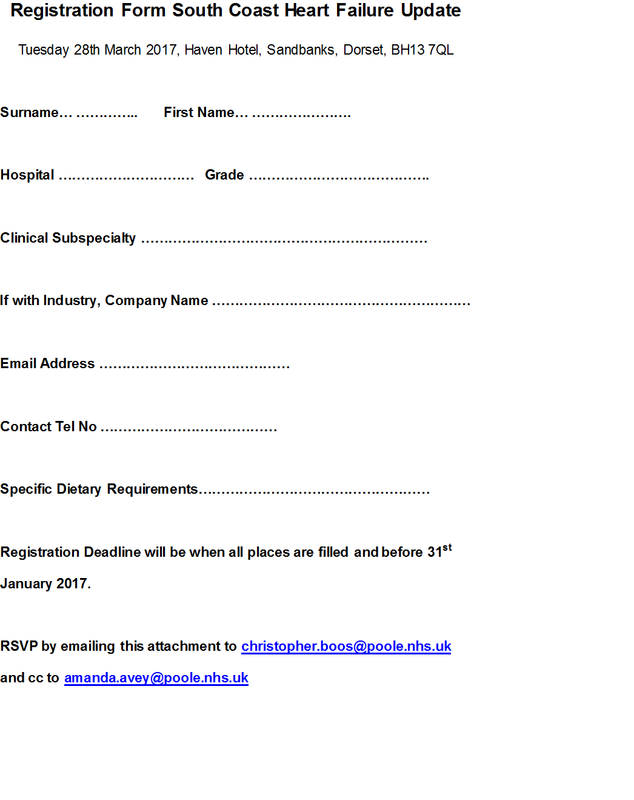 As previously mentioned this is always an excellent meeting and is likely to be over subscribed so get your registration forms in early! I hope you are all settling in to your new posts. 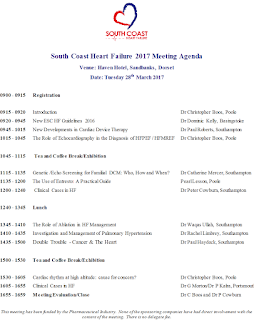 The first monthly training day of 2017 will take place in seven weeks time. Today is therefore the perfect time to ensure that clinics and other commitments are cancelled on that day. Catering will only be provided for those who confirm they are coming!